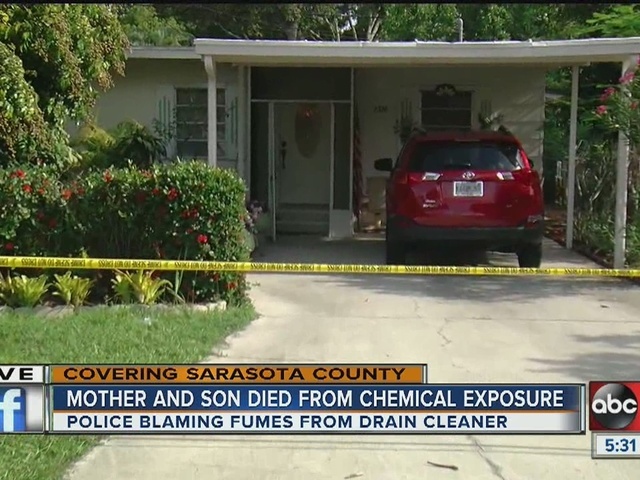 A mother and her adult son were found dead Monday after they were exposed to drain opener chemicals, according to Sarasota (Fla.) Police Department. 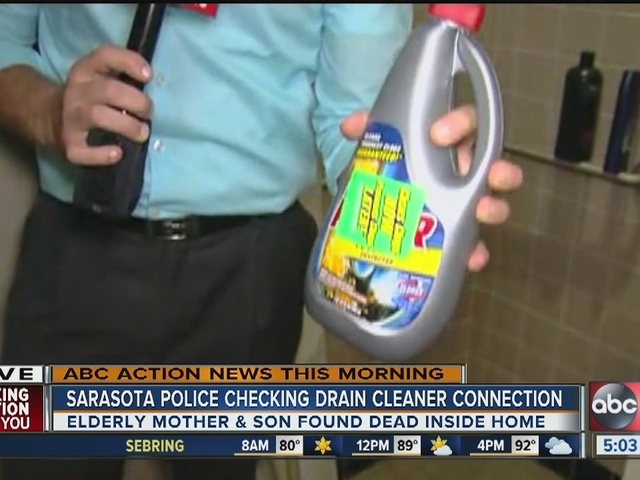 The mother, age 78, and son, age 58, were found about 11:30 a.m. in a home in Sarasota. A family member found them unconscious and called 911. Neighbors said the woman rushed out, screaming hysterically. "I told her to just calm down and breathe because she was breathing really heavily, crying," said Maria Brown-Granillo, a neighbor. "...These situations are really hard to get through especially when it's your family." Police said one of them was pronounced dead in the home while the other was taken to Sarasota Memorial Hospital while still unconscious. Police have not release any further information, including the names of the deceased. They are waiting to notify all the remaining family members.